LinkedIn has announced that it is looking at buying into Lynda.com an online training site that will add value to its already existing network provision service between professionals. With a membership network of professionals numbering 300 million it also provides a platform for jobseekers and those looking out for new career opportunities. The number of jobs on offer has grown tenfold in just one year. The acquisition which is valued at close to $1.5 billion will be LinkedIn’s biggest deal ever with just over 50 percent paid for in cash and the balance in stocks. Lynd.com is reputed to have an extensive library of online courses that will provide LinkedIn professionals the opportunity to gain the skills they require to progress in their careers and on offer will be courses in areas like Web design and development, computer programming, video production and editing, animation, business and education. There will be two subscription packages on offer with a free 10 day trial period for potential customers. Subscription costs for the standard package will be $25 a month and the premium subscription at for $37.50 a month. LinkedIn intends to meet the objectives of its vision, which is to Link the right skills with the right opportunities in the market. This service referred to as the Economic Graph interlinks the human resource factor with the available jobs, adequate skills and the right knowledge. Those looking for jobs will at the touch of a button be able to act on data that is comprehensive and be able to determine requirements skills and then be linked within the same service on how to meet the stated minimum education benchmarks and relevant courses available online. The link between the two platforms will run seamlessly and will provide members with a user friendly environment that will meet their expectations. Before pen is put to paper some issues need to be addressed concerning the cost of the training courses. Will the courses be offered for free and if not will the cost be competitive or prohibitive and deny members access? There are also questions around accessibility and whether it will be open to all LinkedIn members. But just like major buyouts it takes a while to sort out the finer details but all indications are that nothing major is standing in the way of the deal. Both LinkedIn and Lynda.com have a shared vision. That is to guide their membership consisting of professionals attain the highest levels of success through a well-structured and efficient portal that is unmatched in its area of expertise. 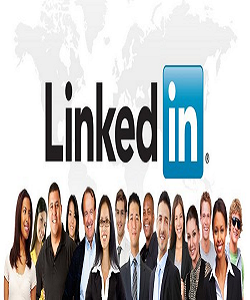 With Lynda.com on board LinkedIn has certainly increased its competitive edge with the content that helps human resource factor improve on their skills and requirements to build their careers. 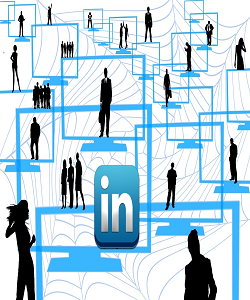 Full integration will not happen immediately but will be gradual as LinkedIn works on the modalities on what the most suitable approach to take in getting the two entities to jell together and provide millions of its users with the ultimate in professional connectivity for career advancement.